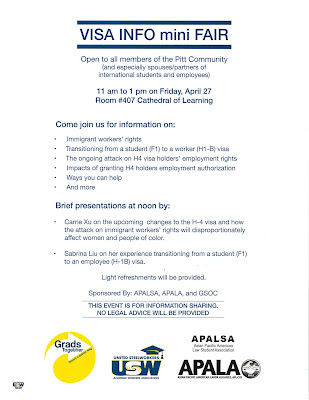 PennsylvAsia: Visa Info Mini Fair, April 27 at Pitt. 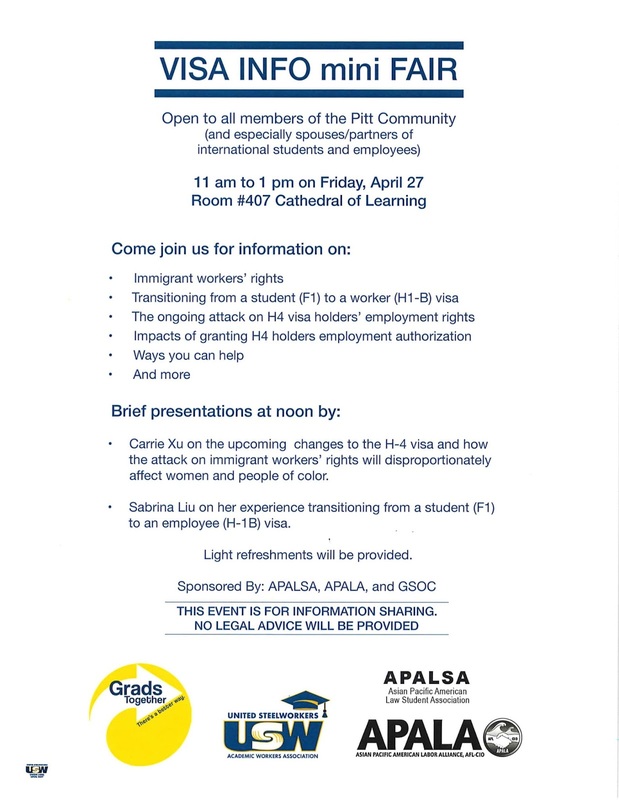 The Asian Pacific American Law Student Association, the Asian Pacific American Labor Alliance, and the Pitt Graduate Student Organizing Committee will host a Visa Info Mini Fair on April 27 at the University of Pittsburgh. 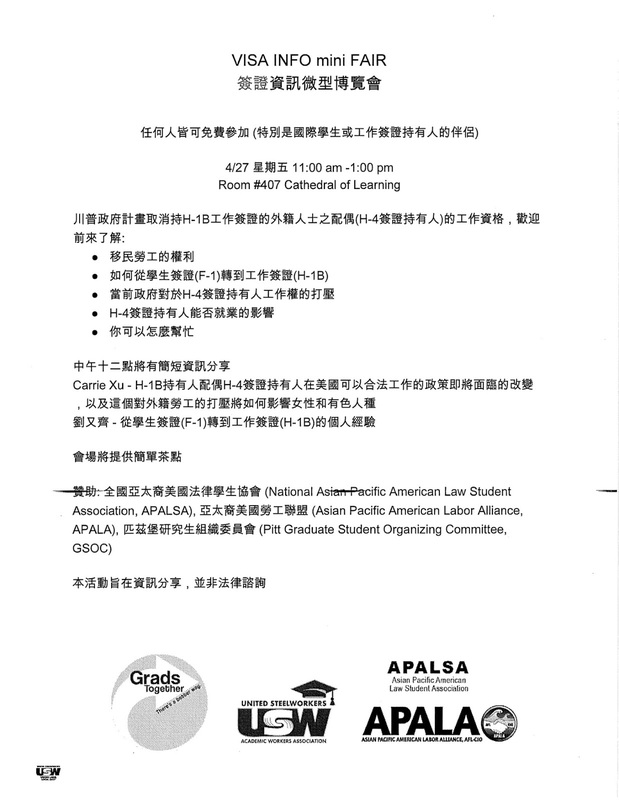 The session will information on immigrant workers' rights, changing from a student to an H1-B visa, and issues of relevance to the dependents of H1-B visa holders. 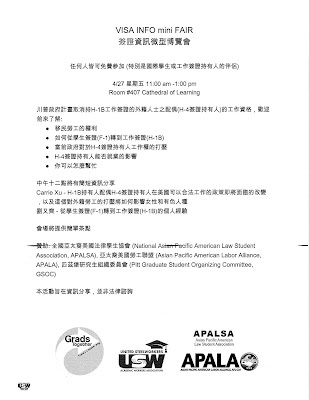 It runs from 11:00 am to 1:00 pm in room 407 of the Cathedral of Learning (map) and is open to the Pitt community.